Rescuers were called to aid two challenge walkers who had passed them earlier in the day while dealing with an injured woman. 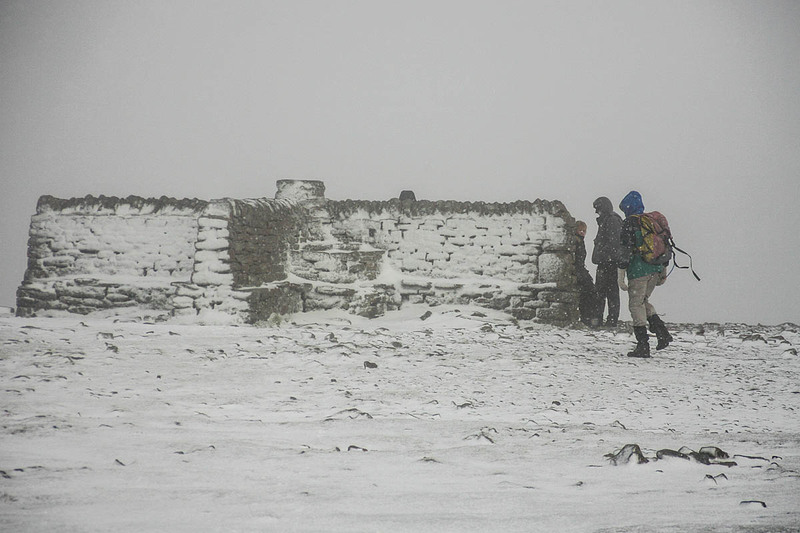 The pair called for help from the summit of Ingleborough after getting caught out by blizzard conditions while attempting the Yorkshire Three Peaks. The Clapham-based Cave Rescue Organisation was initially called to help a 65-year-old woman on Sunday, after she slipped and broke her ankle on the steep path leading down from the summit of the fell to Humphrey Bottom. The team was called out about 4.25pm after receiving reports of the injured walker ‘three-quarters of the way up Ingleborough, from Chapel le dale’. A CRO spokesperson said: “She was soon located, given pain relief, splintage and a heated waistcoat, before being evacuated by stretcher in what was developing into a blizzard. Less than 20 minutes after the first call, the team was contacted again to help a 25- and 26-year-old man. The team spokesperson said: “Two Three Peaks walkers, having walked up past CRO members as they were treating the patient in the previous incident, continued to the summit, where they were overwhelmed by a blizzard.